Seasonal allergies such as atopic dermatitis, affect around 10% of all dogs. Atopic dermatitis is characterized by recurrent itching, and irritated, scaly skin. This allergic skin disease is caused by environmental allergens such as pollen, mold, and dust mites: the same culprits of many human allergic reactions. If your dog’s atopic dermatitis is left untreated, it can cause more serious problems like hair loss and skin infections. Dogs with atopic dermatitis often lose interest in activity and interaction, and they frequently wake their owners during the night with the sounds of licking, scratching, and chewing at their skin. Many dogs have suffered with this miserable disease with little relief, and while conventional treatments have helped to alleviate some itching, none have been 100% successful at eradicating symptoms. Treatments for atopic dermatitis have included everything from bathing rituals and special foods to anti-inflammatory medicines and corticosteroid injections. Even with all the available treatment options, atopic dermatitis has still left most dogs with an itch to scratch. 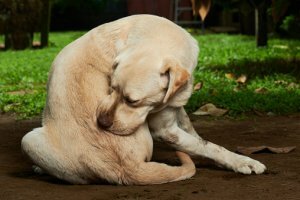 Recently, the pet pharmaceutical company Zoetis, released a new treatment for atopic dermatitis that could change the outlook for dogs with the disease. 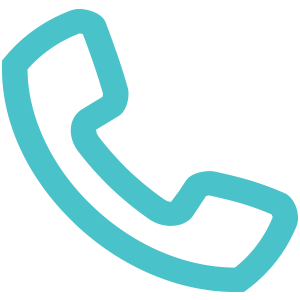 Cytopoint is a subcutaneous injection that is not a drug, but rather, is considered biological therapy because of the way it works. Using engineered antibodies, Cytopoint intercepts a signal protein that causes the skin to itch before it gets to the dog’s brain. When the itching sensation is eliminated, the scratching will stop and the skin will heal. Cytopoint treatments begin providing relief within one day and can continue working for 4-8 weeks, with healed skin being observed within a week. Studies have shown that Cytopoint is extremely safe, with no side effects other than mild discomfort at the injection site. It is easily broken down in the body, and does not tax the kidneys or liver, disrupt hormone levels, or suppress the immune system. Additionally, when tested in conjunction with other commonly prescribed medications, Cytopoint showed no negative interactions. If your dog is suffering with atopic dermatitis, or you suspect he might have the skin disease, discussing Cytopoint with your veterinarian is a great idea. At Animal Medical Center of Streetsboro, we stay up to date with the latest medical breakthroughs so that we can offer our patients the best, most effective treatments. We administer Cytopoint injections in our clinic and our experienced veterinary team would be happy to discuss how this promising treatment could improve your dog’s quality of life. Contact us at 330-989-0910 to make an appointment. ← Should I Choose Cryosurgery for My Dog?